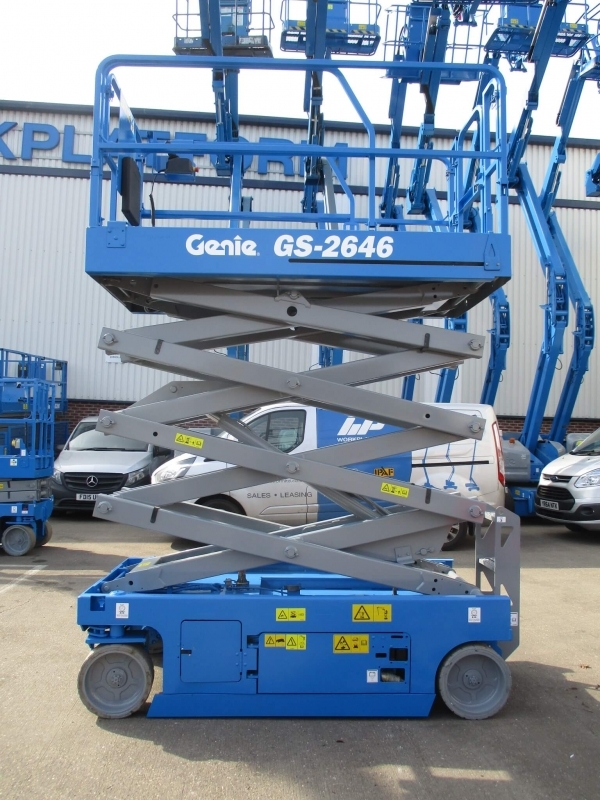 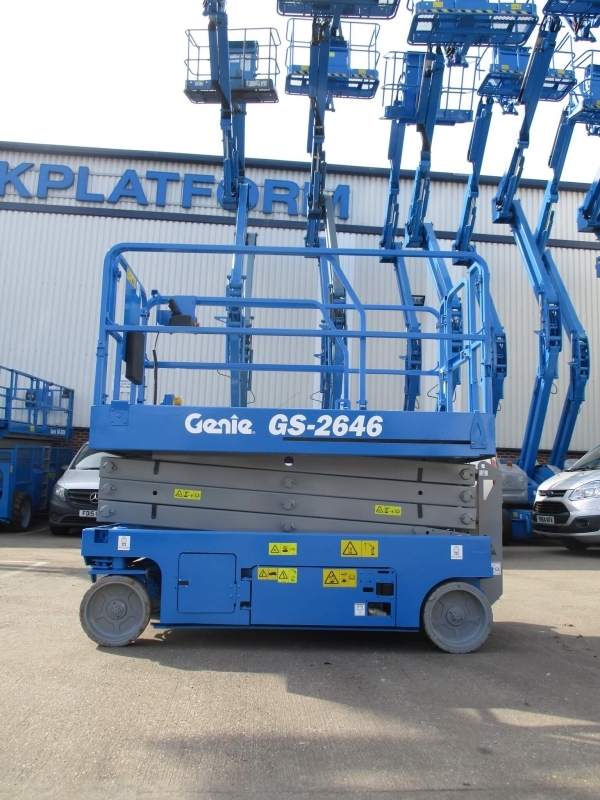 The Genie GS2646 has a 9.8m working height, and 454kg lift capacity. 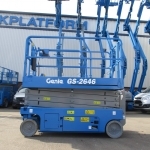 Standard features include AC power to platform, tilt level sensor, descent alarm, and solid non-marking tyres ideal for indoor use. 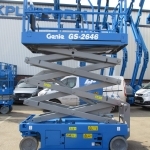 Supplied fully re-sprayed, with full service, new 6 month LOLER certificate and 6 month warranty. 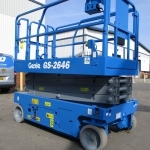 Solid non marking tyres prevent scuffing floors or picking up debris. 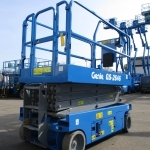 Zero inside turning radius ideal for where space is at a premium. 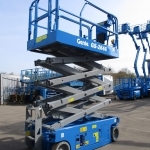 Fold down guardrails make it easy to maneuver through height restricted areas. 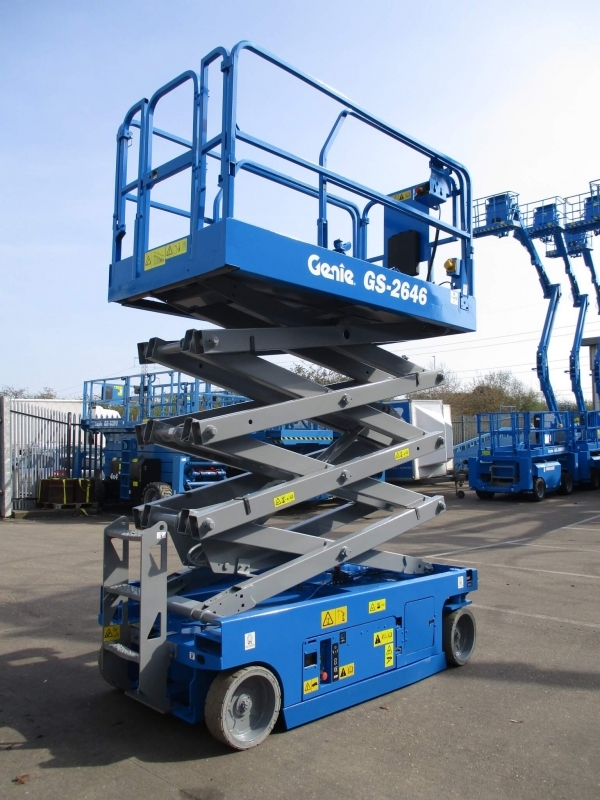 On board diagnostics to help operators troubleshoot and maximise uptime. 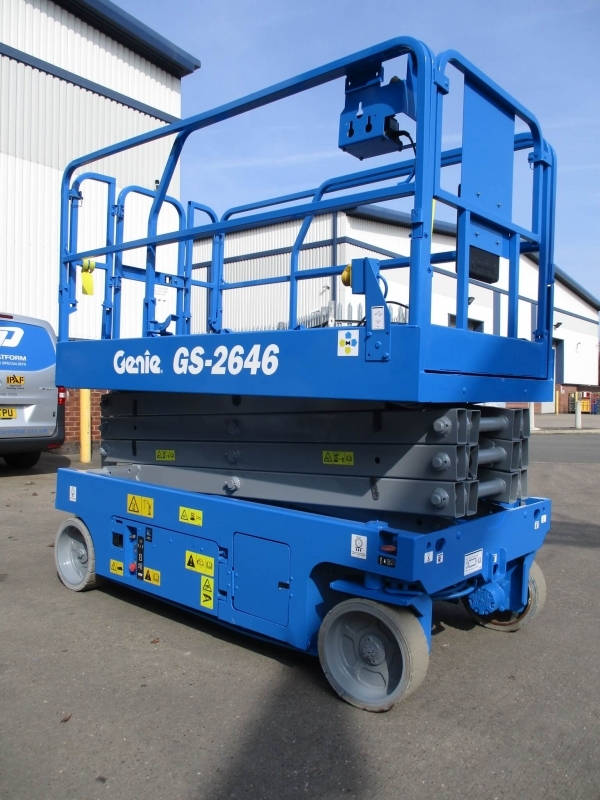 Swing out battery box and power trays allows for easy access to engine components. 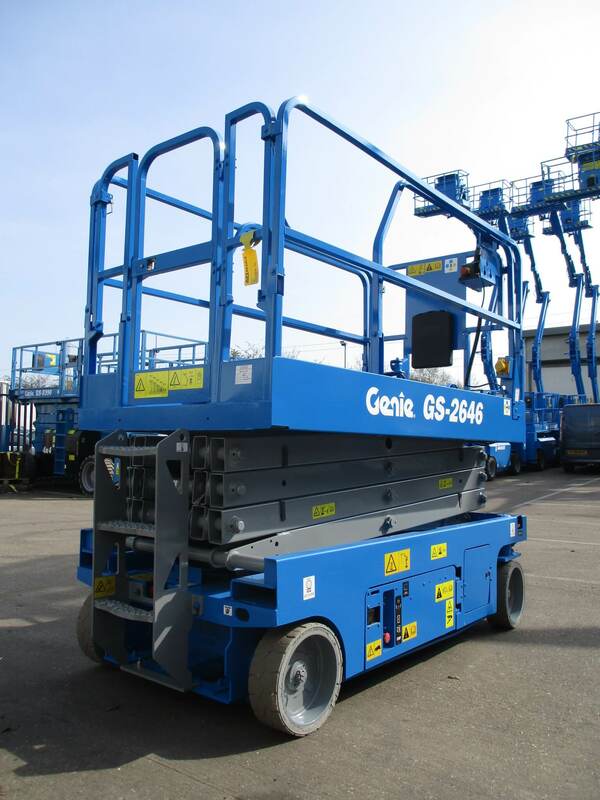 Manual roll out deck extension for increased work space.